It was one of those occasions of going to see a movie you absolutely have no clue about. I’d never heard about Harvey Milk. I saw the poster of Milk. I read somewhere it’s good. It’s directed by Gus Van Sant and starring Sean Penn so I didn’t need to know more and I prefer not to know too much about a film before seeing it. 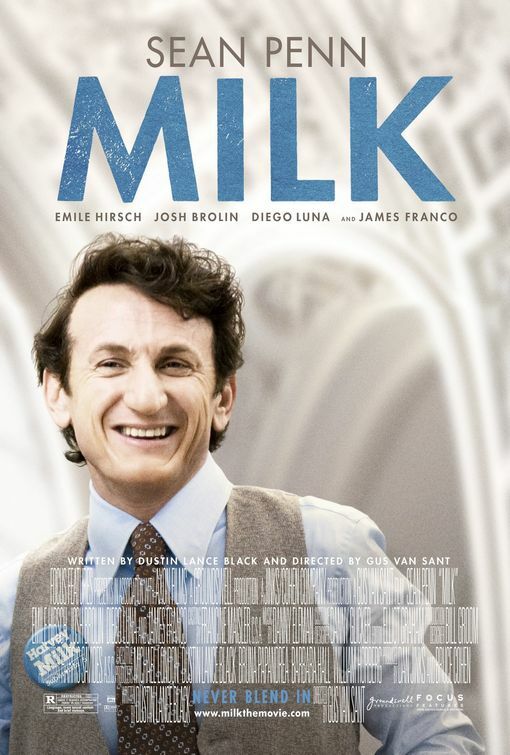 Milk, the story of Harvey Milk was a surprise to me though. Brilliantly acted. And captures the era perfectly. Sean Penn is amazing, as is the rest of the cast. The structure of the film works nicely, even if it does keep everything nicely predictable throughout the film. But I suppose that isn’t really an issue with a story based on real events and fairly famous public figure – even if I’ve never heard of him. Then again there are many completely fictitious films that aren’t based on any facts that follow a similar structure. And then there are films that claim to be based on a true story and are not- I need to watch Fargo again. Sean Penn has proved himself to be a very versatile actor who can cope with any kind of role and create very touching characters. The movie is slightly long though and occasionally appears to repeat itself a lot. And it’s certainly not your average Saturday night action packed blockbuster entertainment package. This entry was posted in Reviews and tagged Fargo, Gus Van Sant, Harvey Milk, Milk, Sean Penn, true story by Ozz. Bookmark the permalink.